Author self-citation is a practice that has been historically surrounded by controversy. Although the prevalence of self-citations in different scientific fields has been thoroughly analysed, there is a lack of large scale quantitative research focusing on its usefulness at guiding readers in finding new relevant scientific knowledge. In this work we empirically address this issue. Using as our main corpus the entire set of PLOS journals research articles, we train a topic discovery model able to capture semantic dissimilarity between pairs of articles. 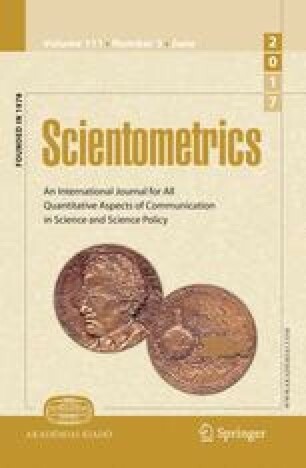 By dividing pairs of articles involved in intra-PLOS citations into self-citations (articles linked by a cite which share at least one author) and non-self-citations (articles linked by a cite which share no author), we observe the distribution of semantic dissimilarity between citing and cited papers in both groups. We find that the typical semantic distance between articles involved in self-citations is significantly smaller than the observed one for articles involved in non-self-citations. Additionally, we find that our results are not driven by the fact that authors tend to specialize in particular areas of research, make use of specific research methodologies or simply have particular styles of writing. Overall, assuming shared content as an indicator of relevance and pertinence of citations, our results indicate that self-citations are, in general, useful as a mechanism of knowledge diffusion. Hu, D. J. (2009). Latent dirichlet allocation for text, images, and music. http://cseweb.ucsd.edu/~dhu/docs/research_exam09.pdf. Last checked on January 16, 2017. Public Library of Science. (2015). Plos subject area thesaurus. https://github.com/PLOS/plos-thesaurus. Last checked on January 16, 2017. Loria, S., Keen, P., Honnibal, M., Yankovsky, R., Karesh, D., Dempsey, E., et al. (2013). TextBlob: Simplified text processing. https://textblob.readthedocs.io/en/dev/. Last checked on January 16, 2017.